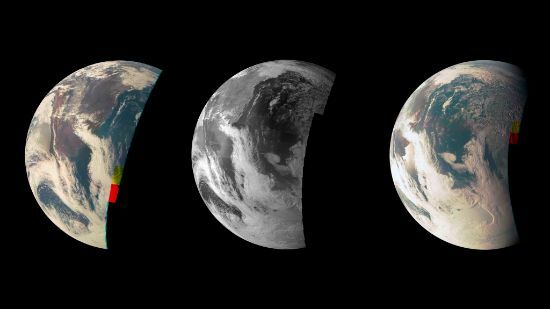 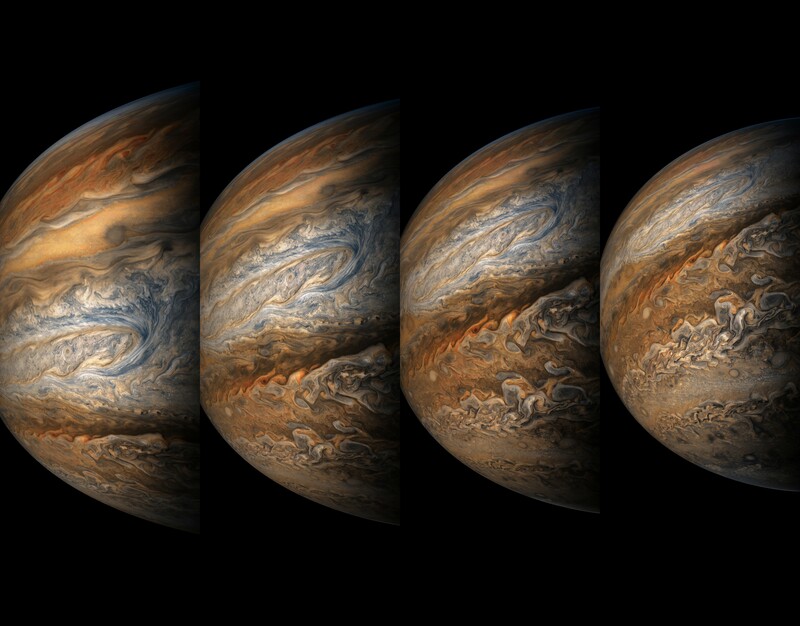 NASA’s spinning Juno spacecraft had its seventh science flyby over Jupiter’s cloud tops on Friday, September 1st at 21:49 UTC, coming as close as 3,500 Kilometers to the planet’s colorful cloud tops. Residing in a highly elliptical orbit around the Gas Giant, Juno only comes close to Jupiter’s enigmatic cloud tops every 53 days after a decision made by the mission team to forego a planned orbit reduction maneuver last October due to concerns associated with the craft’s propulsion system. 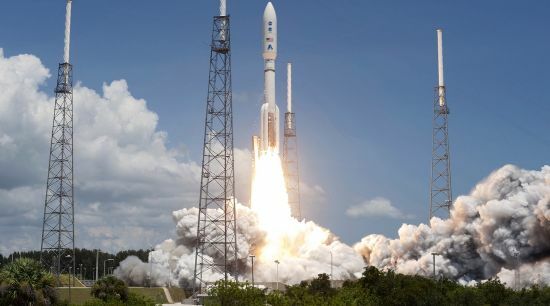 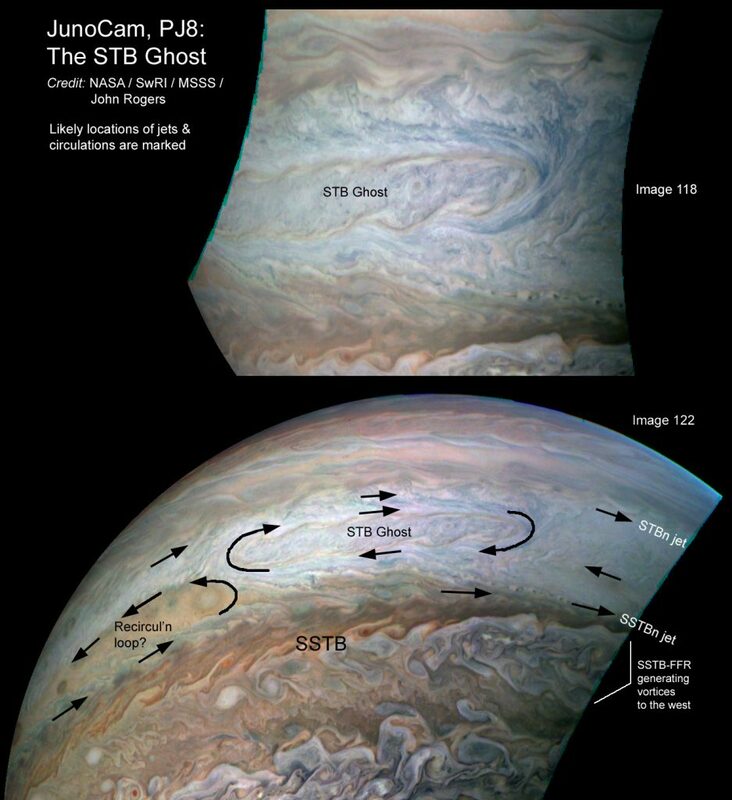 Speeding past Jupiter from north to south, Juno had its camera, spectrometers, particle sensors and cloud-penetrating instruments up and running to probe Jupiter’s dense atmosphere as it zipped past. 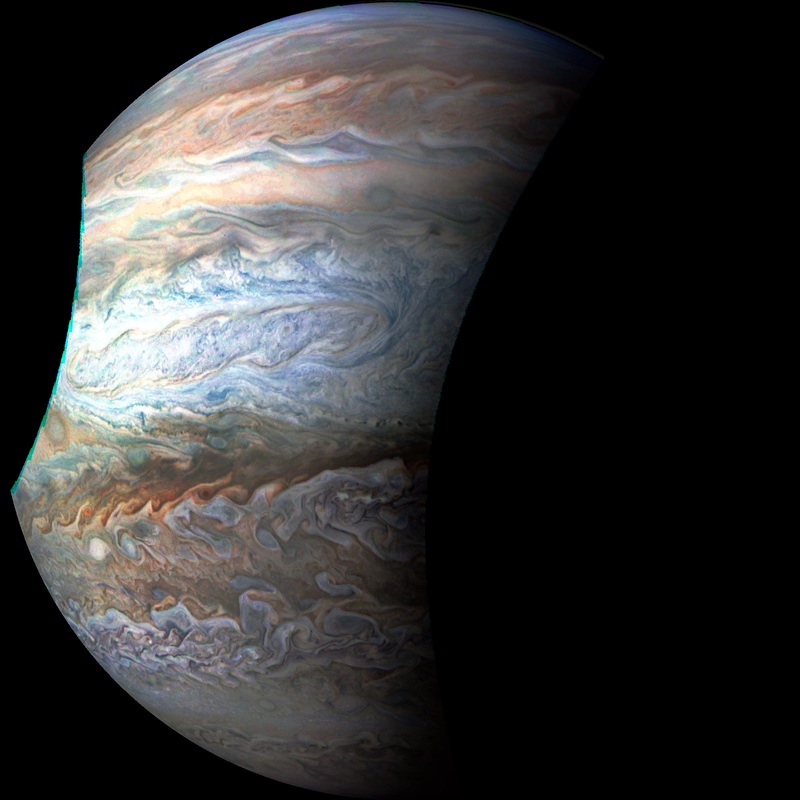 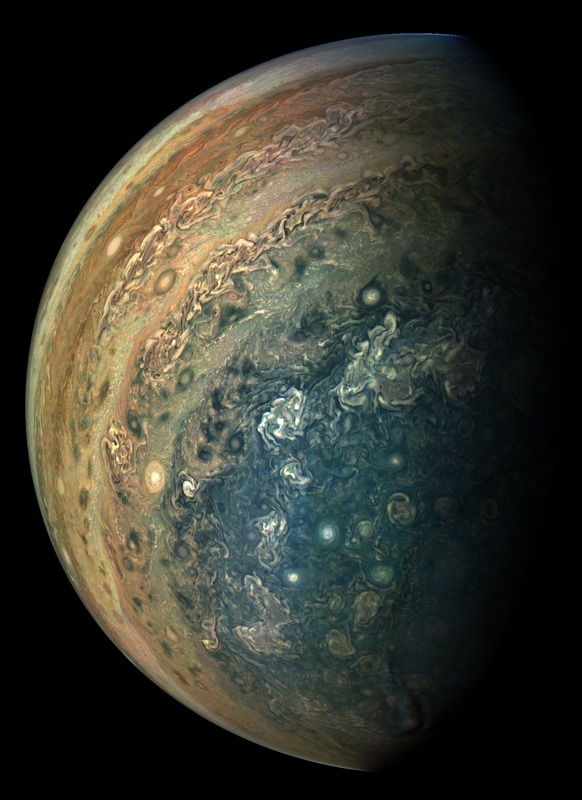 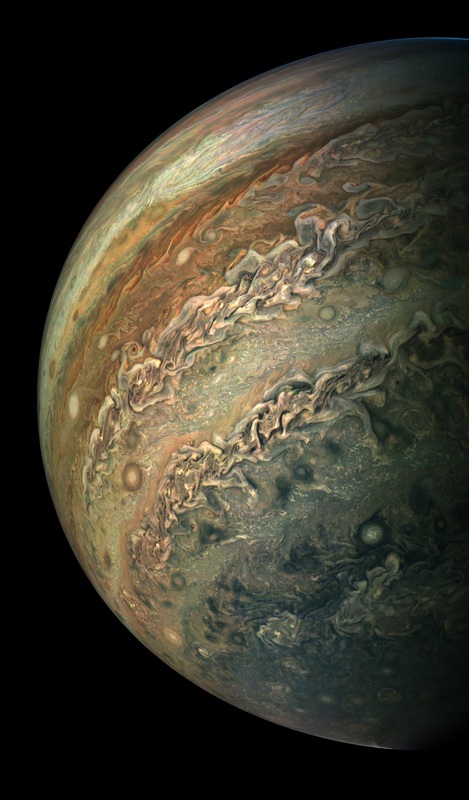 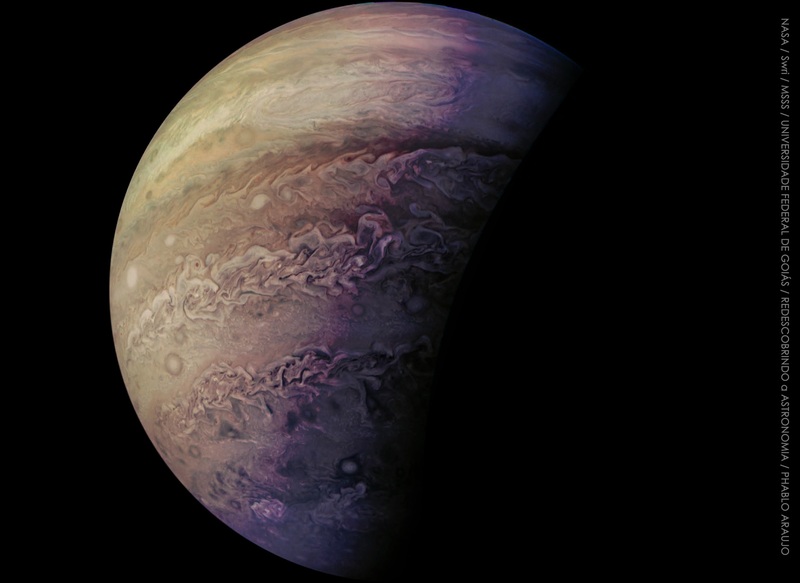 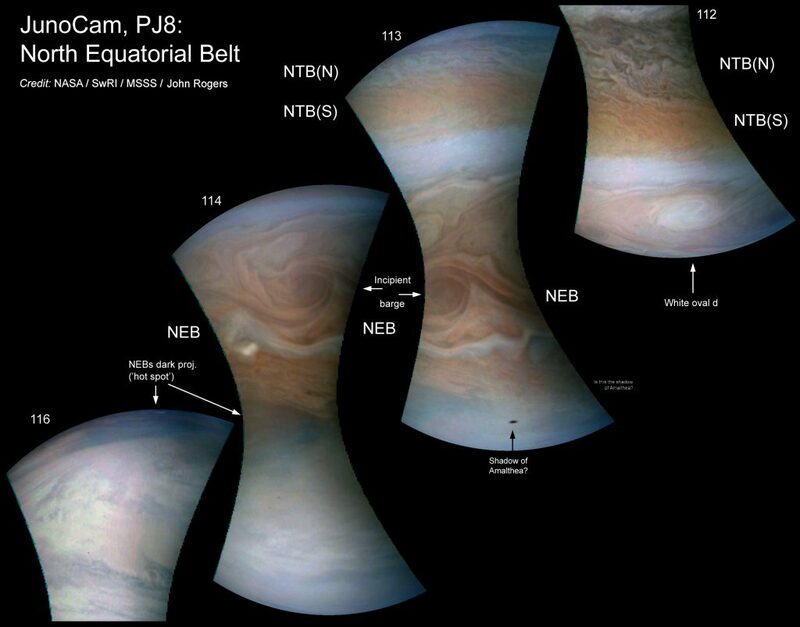 The spacecraft’s JunoCam instrument – not directly considered part of the science payload – delivered a number of images from this latest pass. 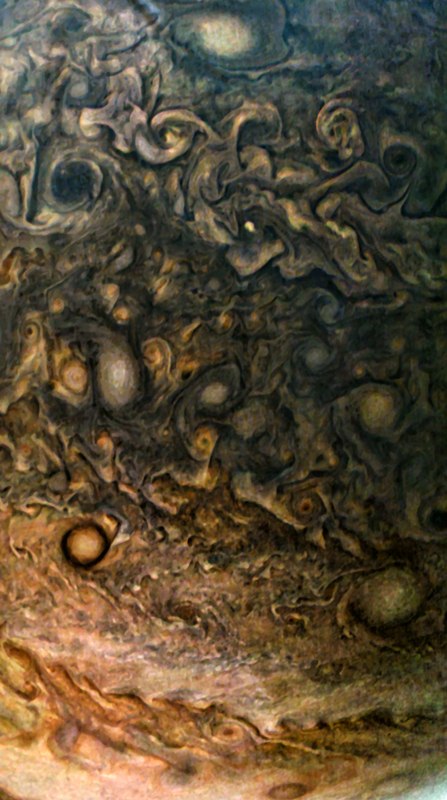 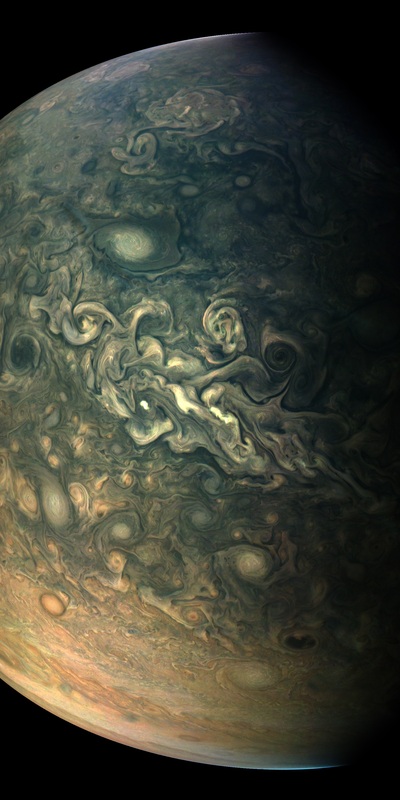 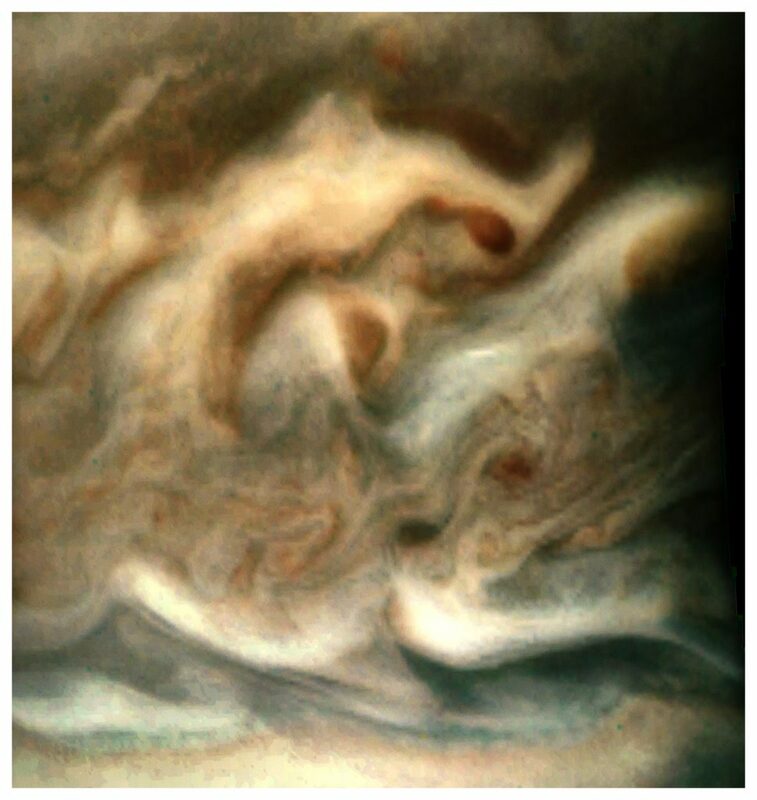 JunoCam images in their raw form are posted on the project website for citizen scientists to apply their talents stitching, zooming, contrasting and color-calibrating to bring out the best detail in the tantalizing images – a concept that has worked extremely well for this mission and is likely to find its way into several missions in NASA’s not too distant future. 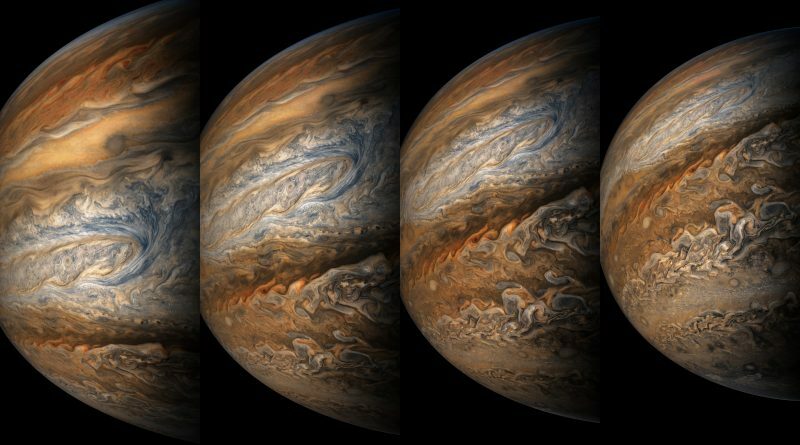 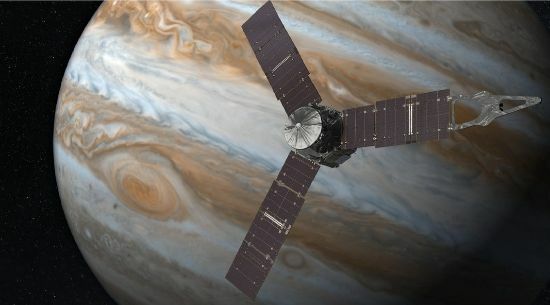 After its close shave past Jupiter, Juno is outbound again to a distance of around eight million Kilometers, downlinking data collected on the latest science pass and slightly adjusting its orbit to set the longitude of the next close encounter. 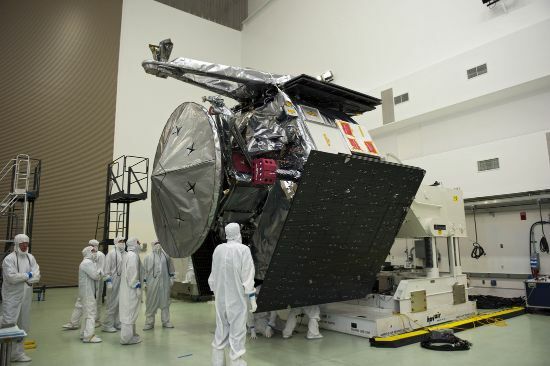 The next science pass will occur on October 24 with closest approach at 17:43 UTC at a distance of 3,500 Kilometers.